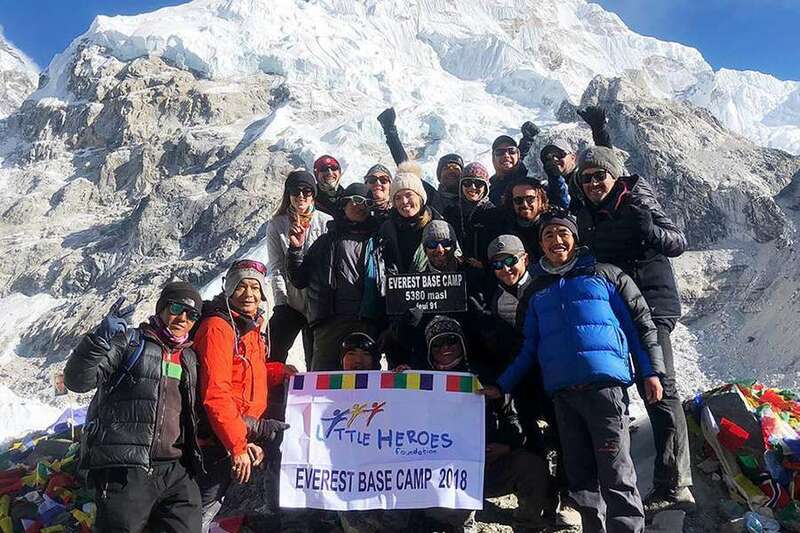 We recently assisted the Little Heroes Foundation with planning and organising travel arrangements for their group trek to Everest Base Camp – to raise money for their Little Heroes Care program. 12 wonderful people signed on to conquer the trek and together raised over $70,000 for an amazing cause! The trekkers have now returned from Nepal and the team from Little Heroes have sent us their recount of what was an unforgettable experience for all. 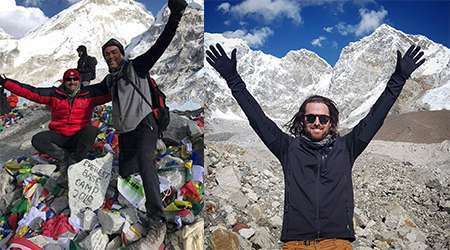 Over the weekend, the majority of our Mount Everest Base Camp trekkers returned home, with plenty of photos, stories and special friendships formed over their 2 week adventure. The Everest Base Camp is one of the most popular trekking routes in the Himalayas and is visited by thousands of trekkers every year. Base Camp is an important part of all treks across the Nepalese side of Mount Everest, as it is the resting place for all climbers, whether they need to acclimatise for journeys beyond the camp, or as the end goal for most trekkers. Trekking from Lukla to Base Camp typically takes between 6 – 8 days, allowing participants to explore the mountains and valleys throughout the region, resting in Nepalese teahouses and local villages along the way. Interaction with the local cultural is also a huge and important part of this trek, with our team being able to witness and learn first hand about the traditions and cultures of the famous Sherpa. 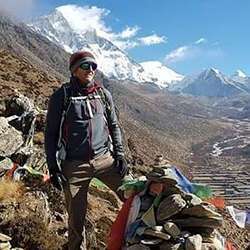 While the challenge of reaching Base Camp is the motivator for most, it is this interaction with a completely different and unique culture that is the lasting memory for almost all who participate in this trek. By all accounts, the positive experiences had by our whole team have centred around the support of Cho La Adventures. From helping carry equipment and gear for the trekkers, to offering remedies and wise words when people started to feel the effects of the altitude, Nima and his team were there to help our trekkers every step of the way. This is the first time Little Heroes Foundation has ever sent a team to Nepal to trek along the infamous route to Base Camp, and we are so glad we did. From all of us at Little Heroes Foundation, we would like to say a big thank you to each and every one of our trekkers who not only took time away from their lives to participate in this exciting journey, but who also helped raise an amazing $70,000! This fundraising contribution will help cover the costs associated with our Little Heroes Care Program, an ongoing service initiative funded by Little Heroes Foundation that provides supports seriously ill children and their families in South Australia. This has been the most unbelievable experience. Not just the hike, but our trek leaders, sherpas and porters. Nima (our trek leader) is the most experienced, wise, caring person I’ve ever met – he was the one to get everyone over the finish line. If someone was sick or didn’t feel well, he has a remedy or words of wisdom to help the whole team through. I will never forget him. It is rare to have a 100% success rate with a group this size, and this really is a credit to our entire team. Well done everyone! The end of our Little Heroes #littleheroesfoundation trek to Everest Base Camp. An amazing couple of weeks with this great group of people. All truly inspirational. To Chola Adventures, Nima Lama, Dil, Dinesh and Moti, you guys are the best and made this experience one I’ll never forget. 2 days ago we made it to Mt Everest Base Camp. Toughest thing I’ve ever done. I wouldn’t have made it without the best team along side me. I’m so proud and grateful to each and every member of the trekking team: Samantha, Kathy, Abbey, Peter, Drew, Jason, Kris, Matt, Mark, Michael, and Ollie…you guys have been the greatest support system spurring me on. Main man Nima Lama…you are my life saver and your crew are simply THE BEST. My heart is so full!!!!! A special thanks of course to Peregrine Travel Centre SA for all of their support in organising the trek. These adventure tours simply can’t happen without their ongoing support. Be sure to get in touch with their team if you’re interested in overseas travel and small group tour. 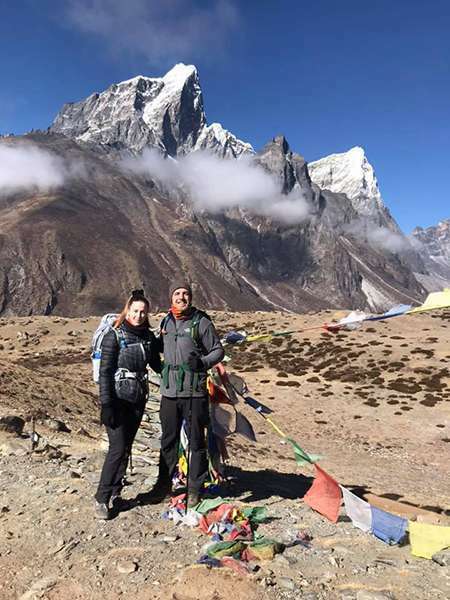 This year’s tour to Mount Everest Base Camp was also supported by Flex Clinic, who provided specialised altitude training for our team, to help them understand and prepare their bodies for the challenges presented by high altitude trekking. Thank you Flex! Thank you to Little Heroes for supplying all of the images above for us to share, along with their experiences.